Given the fact that I was not able to get out of the hotel very much and explore all the amazing things that Dubai had to offer, I only got a limited view of this city. It is one of the most talked about destinations in the world, and people claim that they would love to see this city for all of the things that they can bring to this little corner of the desert. The following ramblings are just casual observations that I was able to make at the short time I was there, so I could have a different perspective on the place if I ever get the chance to go back and visit someday. To start off, it is a beautiful city. The architecture is truly something to marvel at, and the people who are designing the rest of the city are really thinking about how to make this place a unique one with its own character that would make want many people put it on their bucket lists of places they have to go and see someday. I don’t know how much history is related to these new creations, but if you look closely, you can see the tour groups being led to the next exciting place. The strange thing about this is that the next exciting place happens to be another mall where the tourists are expected to spend their money. This has attracted many business people to try their hands at trying to grab some of that currency by setting up shops in the various places where they know the tourists will travel. 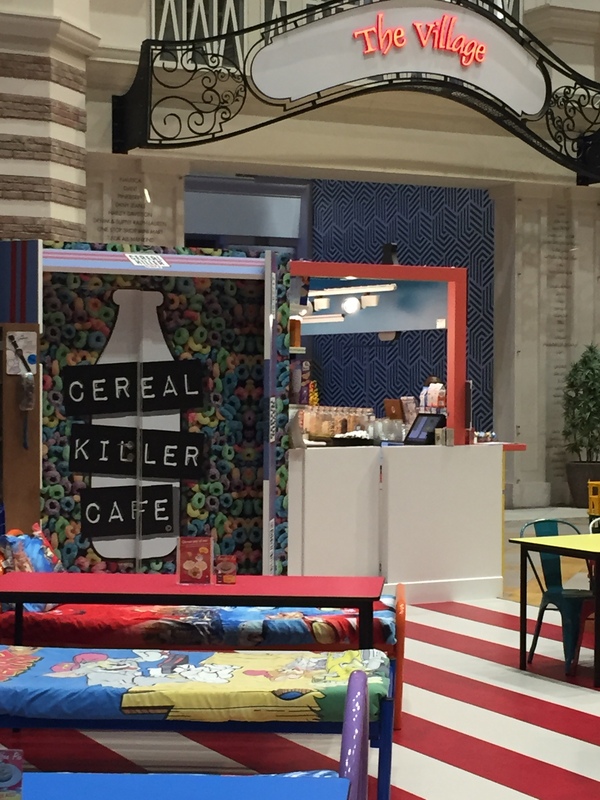 Some of them are very creative, such as a place where you can get served a bowl of cereal while sitting on a bed and watching old Saturday morning cartoons, but for the most part these are far and few between. Most of the shops and restaurants that I encountered were the same kinds of place that you can find littering the malls of America. It was just one big chain after another that never offered anything new or exciting to the experience of being in Dubai. It gave me the impression that money ruled this city, and everything in it was there to make the ex-pats who came over more comfortable as they worked hard to make and spend more money. But it is this circulation of cash that has turned this country into one of the most wealthiest in the world. It allows the people that live here to dream about doing things that are bigger and better than anywhere else. It is the reason that you can find skiing in a place where the coldest temperature it might ever see is in the high 60s. It is the reason that there is constant construction all over the place because people want to capitalize on this influx while it is still going on. 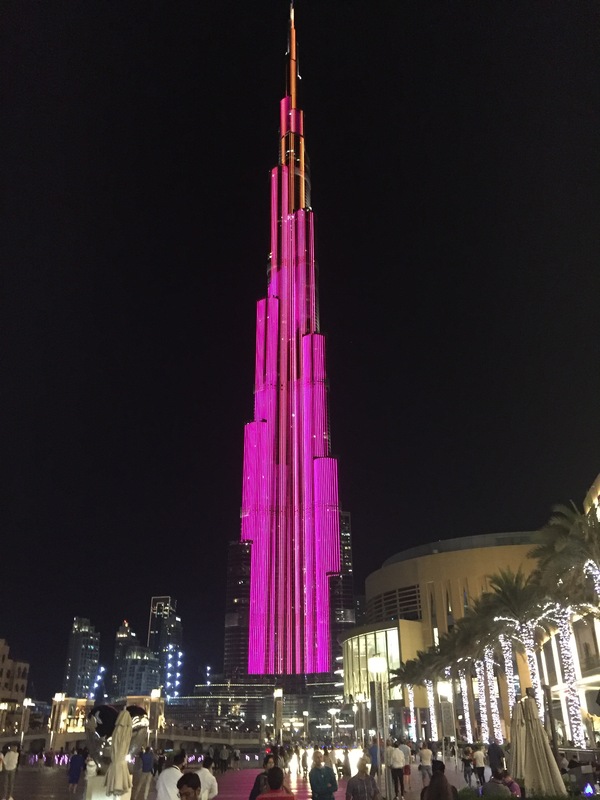 It is the reason that you can come out here and see the tallest building in the world right now, and even though there are others being built that will eventually surpass it, one of them happens to be in Dubai, so this city can keep the record for just a little bit longer. I really don’t know how I feel about this city, but being able to grabs small snatches of what it has to offer, it has made me want to come back so I can learn more. Hopefully someday that will be able to happen. The conference was exhausting with meeting after meeting, but around 5:30 in the evening things started to wind down. 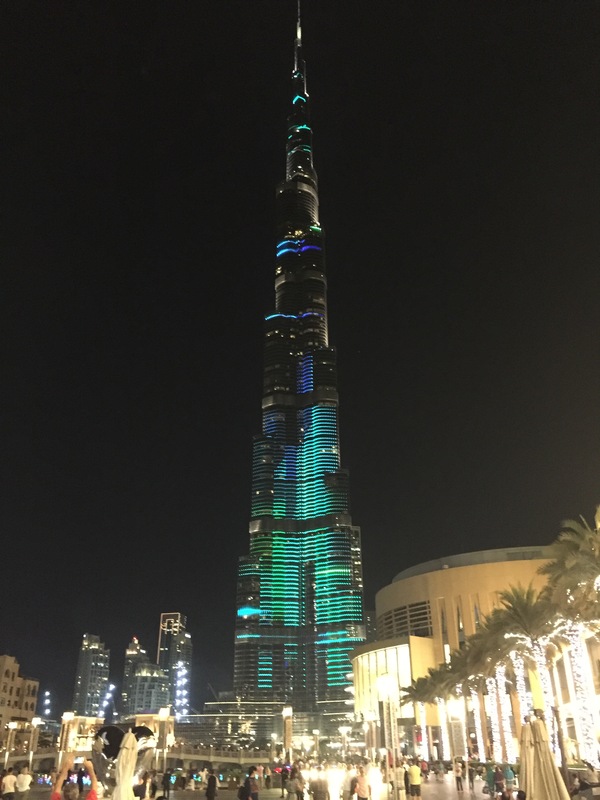 We were finally given the opportunity to run away from the hotel and catch a little of the nightlife in Dubai, so of course we went to the one landmark that sets this city off from every other city, the tallest building in the world, Burj Khalifa. 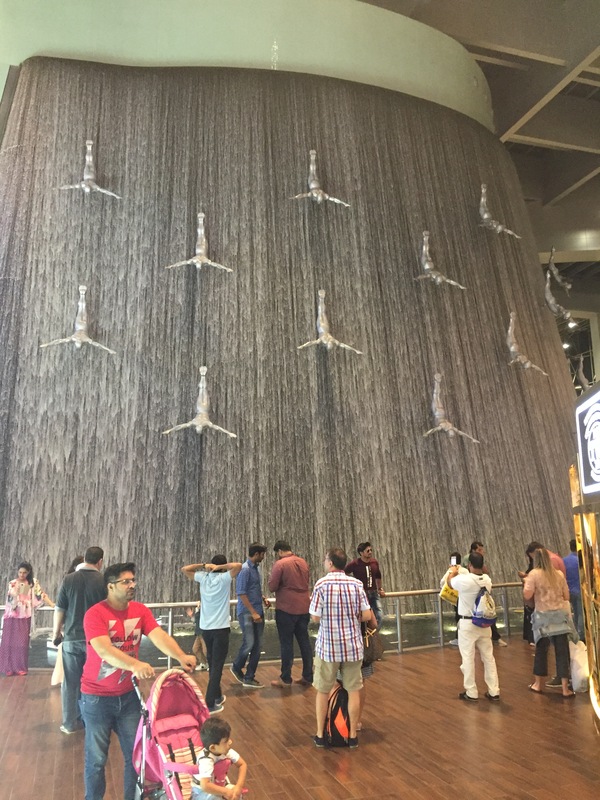 It stands outside of the Dubai mall and looms over the city. It is the needle that beckons for everybody to come and visit, and the tourists comply to see what it is all about. It is quite the impressive structure, and the most amazing thing about it is that at night, it puts on a light show for all who stand on the bridge just outside of the mall, and jockey for the best position to see one of its many shows that run about every fifteen minutes. The shows are worth the wait, but it is not the only thing that is worth seeing at this spot because in-between the light shows, there is another display that wows the crowds just as much. 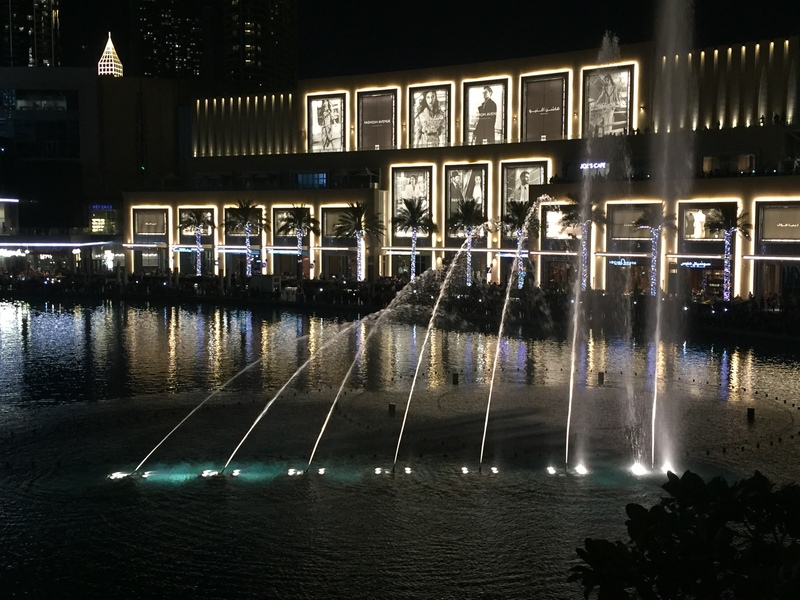 There is a fountain right below the tower that puts on a fountain show too. This is also coordinated with various songs as the water is show up into the sky while lights dance underneath the spectacle. 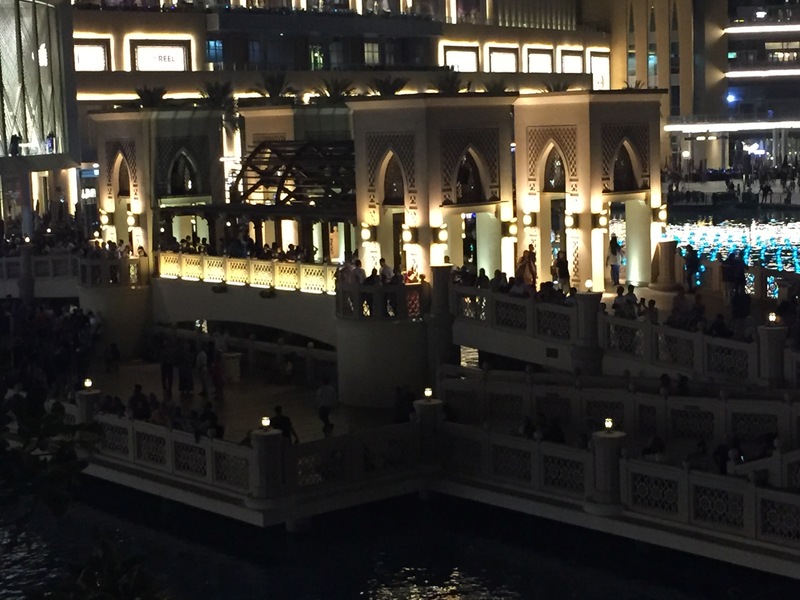 It is this constant rotation of entertainment that keeps the crowds hanging on the bridge, and coming back night after to night to see how it will be different then. It is what I have found that Dubai is really about. This city wishes to be the best at everything that it does, so it sets up different opportunities to show off its greatness. It has the tallest buildings, the greatest light shows, the most spectacular water works. It is a lot like Las Vegas except for all of the sin. It is hard to find a beer, and if you do get one, it is really expensive so you do not want to drink more than one of them. I am not sure if it has gambling or not, but it does not look like the place that would support that extravagant kind of lifestyle. Public displays of affection are even looked down upon from people who are not married, even though I am told that they take a more liberal approach to this than other countries in the Middle East do. Their excess comes in the form of shopping, and finding the unexpected in a place where it should never be. I had heard about the indoor ski resort that the city brags about, but they also have an ice skating rink in the middle of the biggest mall in the city. 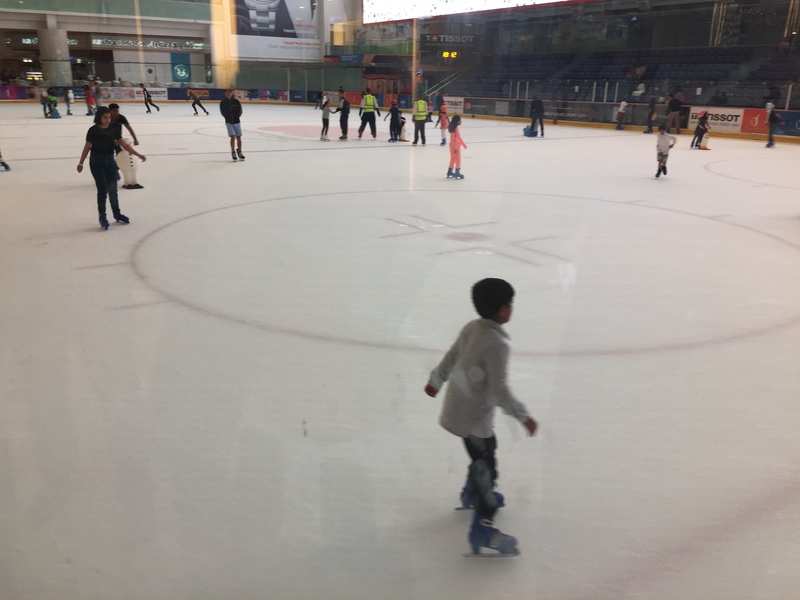 It shouldn’t be too surprising from a desert city in which you can go skiing in, but it still took me by surprise that many people world come into this indoor attraction to show their children what it is like to ice skating. The part I liked the most about it was once every hour snow would start to fall down in the middle of the rink as the crowd started to gather underneath it so they could catch a couple of the flakes on their tongues. It really made it me start to wonder exactly where I was in the world, and why I was stuck in a hotel all day long, not given the opportunity to explore this a little bit more. The answer was pretty obvious. I was in Dubai, the happiest city in the world, the place where all come to be awed with what the imagination of man can come up with. I did not need the extra stimulation that I look for in other places in the world because every turn I took would give me amble stimulation with what I would see. That is kind of the magic of this place, and I can see why it has become a tourist must see for so many people. I have only caught a little corner of what it has to offer, and I am already hooked by its pull. It will have to be a place that I will have to venture back to when I do not have to spend it in a conference and I can explore it a little more. My first trip to the Middle East is not for pleasure. I have made the long voyage out here to go to a conference, so I have not been given the opportunity to do the tourist thing as much on this trip. But I have landed in Dubai. 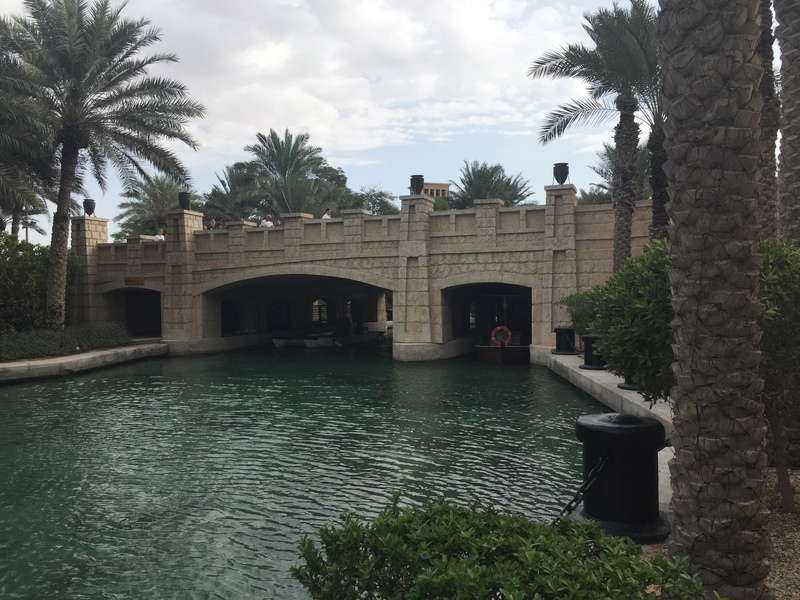 It is easy to instantly see the wealth that is in this city on the edge of the desert, and understand why it has made a name for itself as one the bigger destination places in the world. Walking through the airport gives an indication of all the fun things that you can do to make a great vacation. There are theme parks, performances, and many opportunities for shopping all over the place. The most telling sign to indicate that you have arrived at a tourist paradise is from the signs on the floors right next to the baggage claim that states that Dubai is “The Happiest City in the World”. Of course, I have not been able to participate in any of this fun. I have been stuck in a hotel room preparing for this conference. 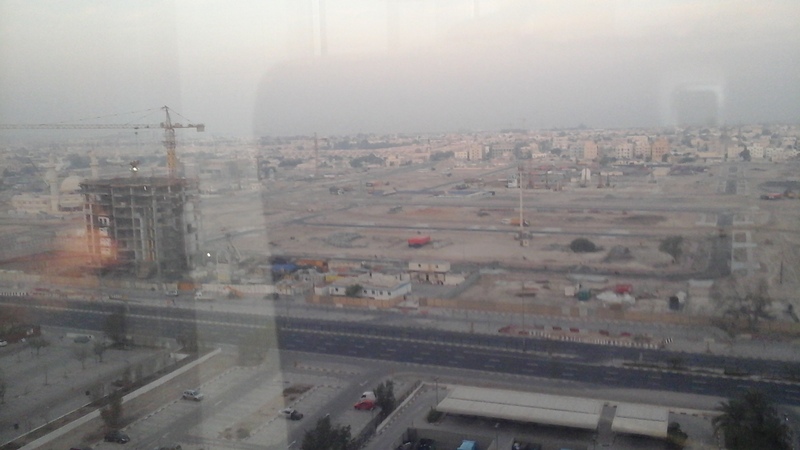 The only thing that I have really noticed about the city is that there is construction going on all over the place. 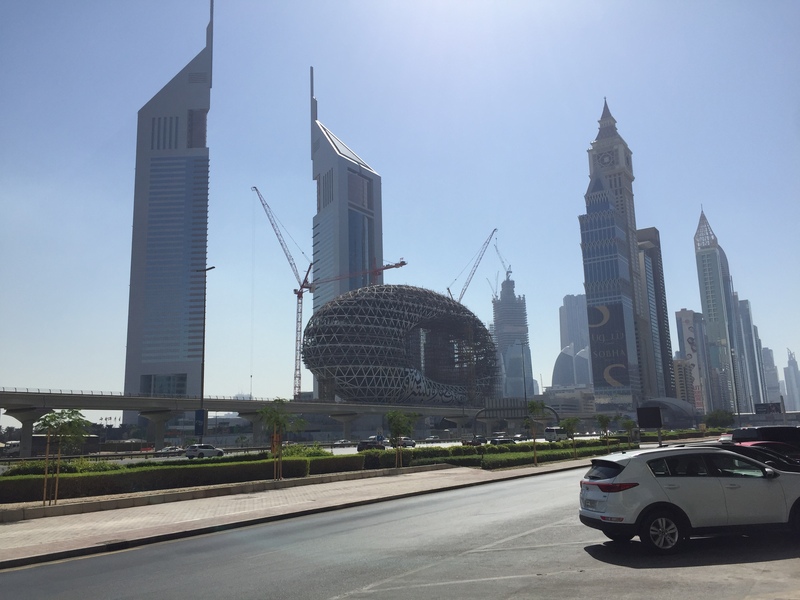 There is another saying that states, “You know you are in Dubai because you will be walking through a construction aone.” This is another indication of the wealth that is being gathered in this place. It just shows that everybody wants to grab a little chunk of the magic that is happening here right now. I do hope that as I stay out here over the next couple of days, I get to experience some of that happiness, and see what everybody is talking about when they think of Dubai.